When is the best time to look for a job? Is there a better time of the year? 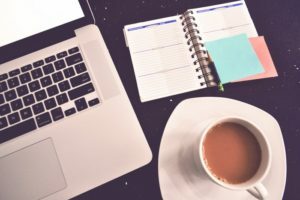 Home » Blog » Blog » When is the best time of year to look for a job? For individuals that are job hunting, there are different times of the year which represent the best, and worst, times to apply for jobs. This could vary depending on the type of jobs you are applying for and the industry you are hoping to work in. We take a look at when is the best time to look for a job. This time of the year represents the strongest hiring period of the year. A survey carried out in January 2013 by My Favourite Voucher Codes showed that changing job is the fourth most popular New Year’s resolution that individuals make. Many companies have their new yearly budgets set in January, so they know how much money is available for hiring new staff for the year. The amount of staff that take holidays in December also decreases the amount of job hunting activity around this period, therefore increasing the amount in January and February. This is due to most individuals being back from their holiday after Christmas and companies will have more time to book interviews and arrange for new members of the team to start. The end of the year can be the worst time to apply for jobs as many companies are no longer looking for new staff. They have exhausted all their budgets and are finalising any initiatives they had in place. They will not begin the recruitment process until January when they have their new budgets and plans in place for the year. Many recruiters and job seekers take time off over the Christmas period. This, in turn, makes it more difficult to arrange interviews and there are also less staff in the office so recruitment isn’t as highly prioritised as other tasks due to the New Year looming. November and December could end up being the best time to start thinking about your next career move, as the Christmas parties and get-togethers in the office and with clients could lead to individuals networking and coming across job opportunities through their contacts. Many industries recruit individuals seasonally, depending on their sales forecasts. Jobs in retail, for example, are highly sought after in November and December months, due to the run up to Christmas and a higher demand in most retail outlets. Sometimes these temporary roles become permanent, although many people may be left without a job at the beginning of January. Amazon and Royal Mail, for example, hire lots of temporary staff ready for Christmas. For 2014 they had 13,000 seasonal jobs available over this busy period. Individuals can also be hired due to customer demand. For example, the end of the tax year may be the best time for hiring as tax firms will need to keep up with the busy tax season. Company Graduate schemes have very specific deadlines for when they want applications in. These can vary throughout the year so it is important for Graduates to keep an eye out for when companies are recruiting. Best time to look for a job blog written by Personal Career Management. If you would like to find out more about our careers coaching services and would like help with your job search, our expert career coaches can help. You can contact us on 01753 888995, or send us an enquiry on our contact form to find out more about how we can help you create an effective job search campaign.